Infinity Scarves are very in and to me are so much more stylish than a regular old scarf. 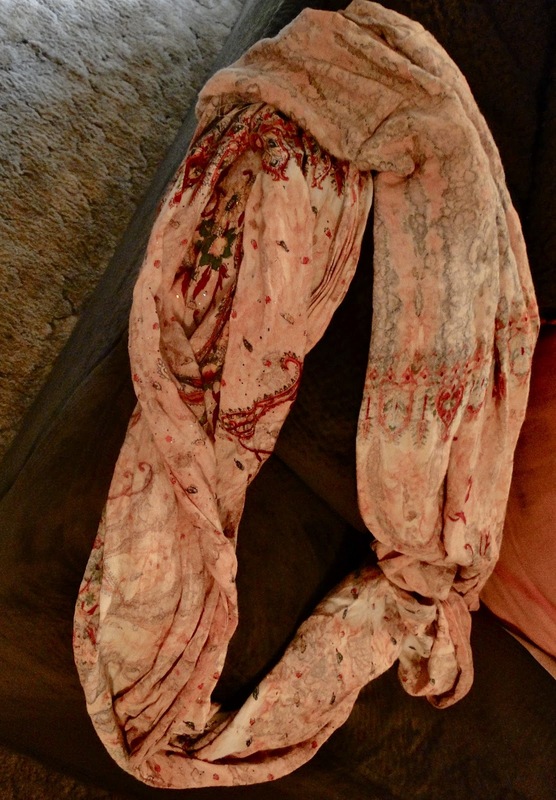 I've had this scarf for years and I was about to throw it out...BUT I decided to give it new life! And this is how I did it- very simple and you can too! HAD fringe... :) I cut it right off of there. Then I simply folded it together (outside in) and matched up the edges I just cut. And there you have it. 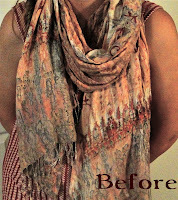 It literally took me about 5 minutes and I have a "new" scarf that I know I will wear much more than the old version. 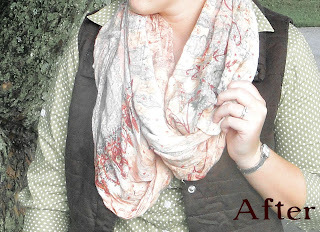 So go look for all those old scarves you want to give new life and make a comfy infinity scarf! 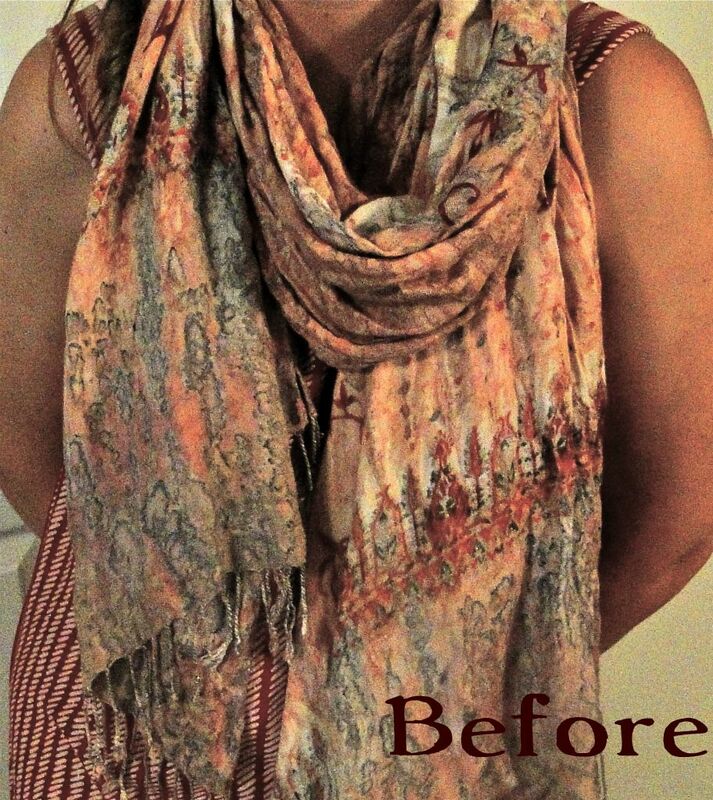 It's so easy and it's like putting new clothes in your closet for free!! 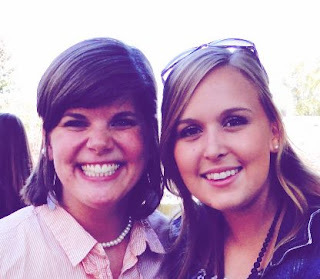 So glad you came by and visited! Thanks for grabbing a button! !